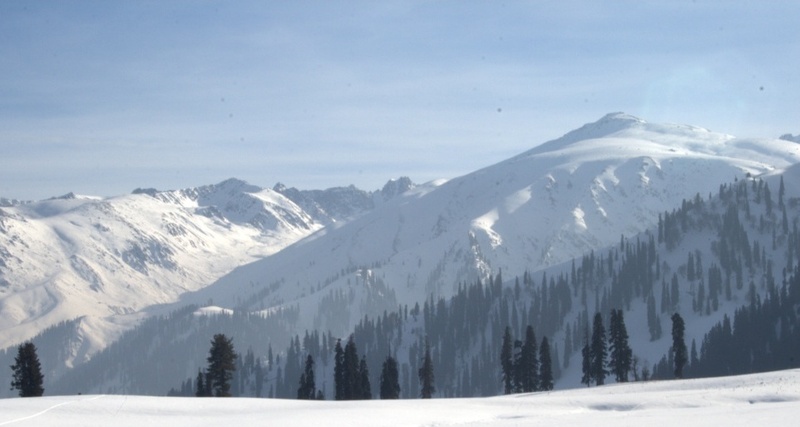 After seeing my pics of some of friends of Gulmarg and Pahalgam in December, I was so tempted that I planned a trip to Kashmir to see the snow. The weather was not as cold as I was expecting it to be; no snowfall in Srinagar and only sunny days everyday. I was surprised to see such barreness in Kashmir, after having seen it in June last year when everything was green and blossoming. 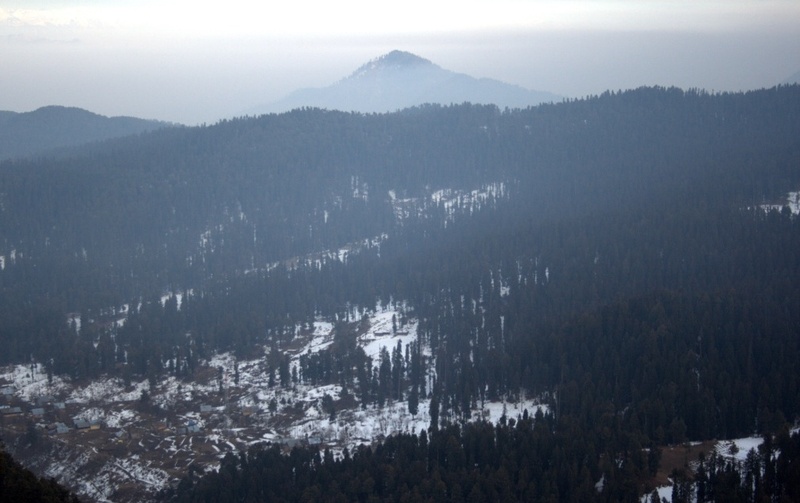 Even in Gulmarg, the snow was in patches; trees were bare of snow and it was a dry landscape all around. My friends and locals around were all bemoaning the reduced snowfall that seem to have taken place this winters. Everywhere the land was dry and barren; a desolate look where the trees looked berefit of any life, let alone vegetation. 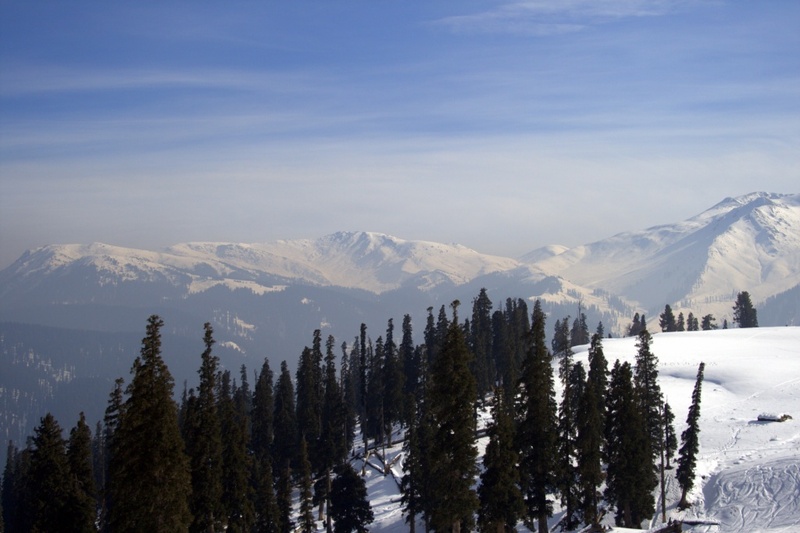 It was a pleasure to see the evergreens in Gulmarg with some green vegetation and the endless miles of snow where skiers could be seen zipping around. 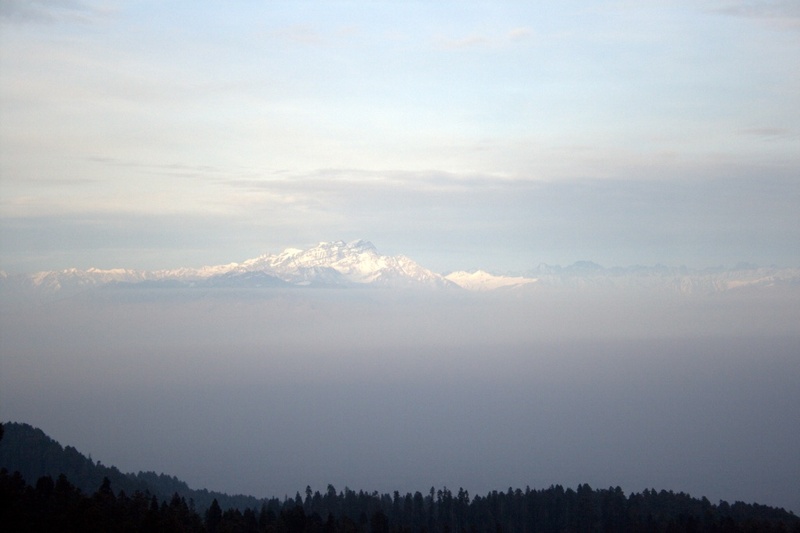 The effect of global warming seems to being felt here a lot; dry winters with barely any snow is reducing the water table as well as the vegetation is being affected. The landscape looks harsh with bare trees; the dried up branches of which look ready to fall off with a small gust of wind. The trees around the Dal lake also looked so forlorn and sad. 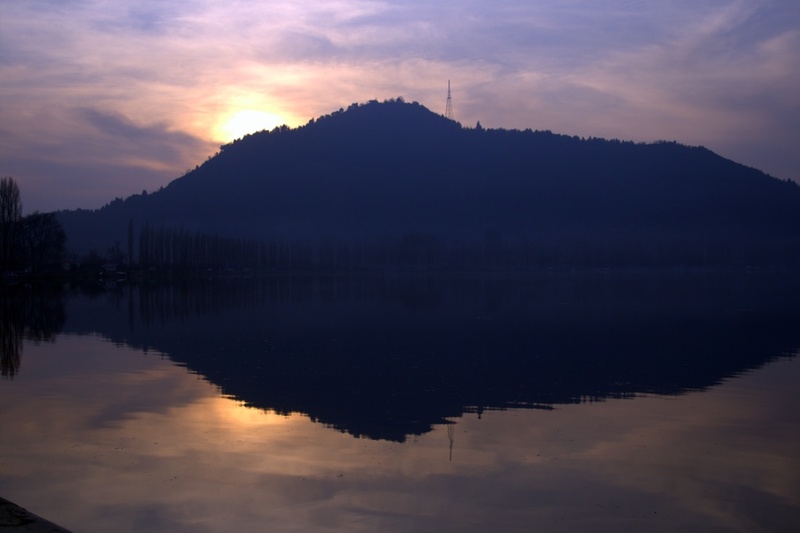 There was stillness over the waters of the Dal lake; a smooth polished mirror over which picture perfect reflection were being cast by the trees, mountains, etc. I tried to capture the setting sun over Shankaracharya but was too late. The image of Hotel Centaur came out picture perfect. Really nice snow photos. Specially I like the third and fourth photos. Next Post Birdie num num! !